Torah Codes 2012 by Midbar Nesher: Economy is Destroyed! Peter David Schiff ; born March 23, 1963 is an American investment broker, author and financial commentator. Schiff is CEO and chief global strategist of Euro Pacific Capital Inc., a broker-dealer based in Westport, Connecticut and CEO of Euro Pacific Precious Metals, LLC, a gold and silver dealer based in New York City. 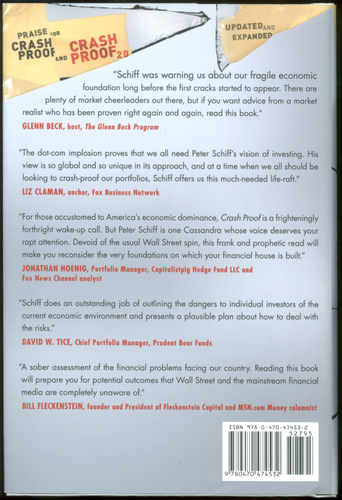 Schiff frequently appears as a guest on financial television and is often quoted in major financial publications. He is host of The Peter Schiff Show, a radio show broadcast on terrestrial and internet radio. He is a frequent guest on internet radio as well as the host of the former podcast Wall Street Unspun. In 2010 Schiff ran as a candidate in the Republican primary for the United States Senate seat from Connecticut. 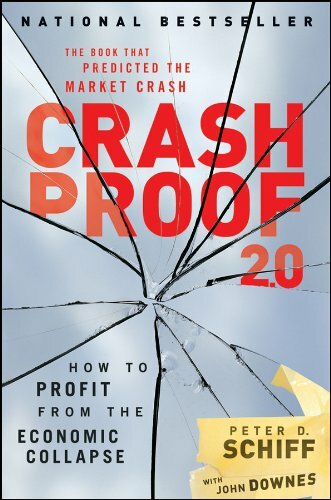 In his 2007 book Crash Proof, Schiff wrote that United States economic policies were fundamentally unsound, and predicted that the United States dollar would lose much of its value. A YouTube video entitled "Peter Schiff was right" became popular in late 2008 and 2009. The video consists of a compilation of clips of his many appearances on various financial news programs from networks including CNBC, Fox News, MSNBC and Bloomberg, most of which took place from 2005 to 2007. In the video segments Schiff explains the fundamental problems he saw with the United States economy at that time. Schiff's warnings of a coming economic collapse earned him the moniker "Dr. Doom." Prepare your family from the consequences..